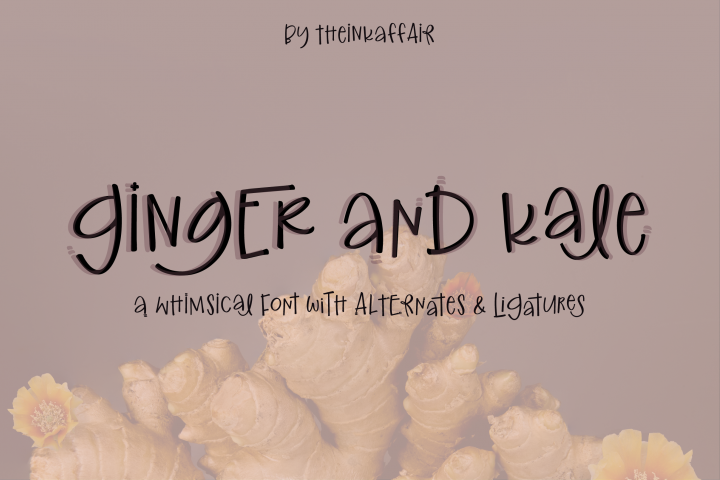 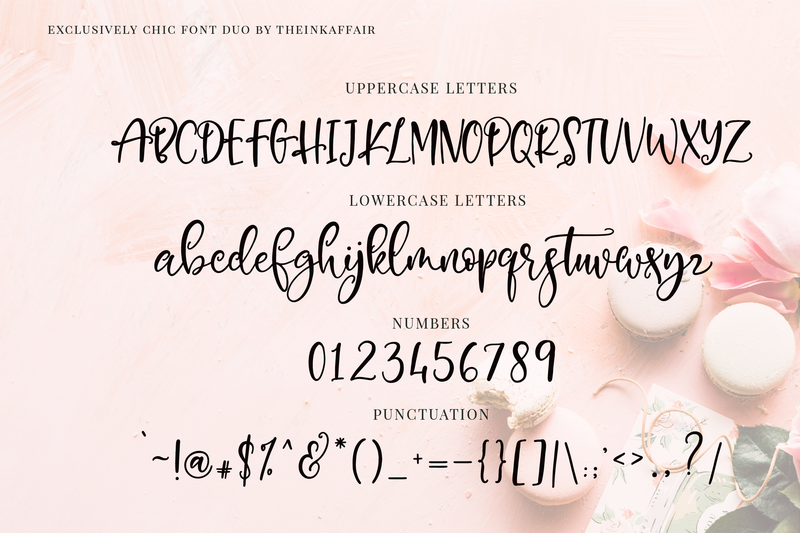 Added punctuations and symbols to Exclusively Chic Sans and and a lottt of extra alternate glyphs with beginning and ending swashes to Exclusively Chic Regular. 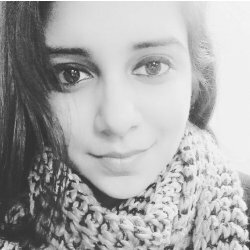 Please make sure you uninstall the previous files before downloading the new ones. 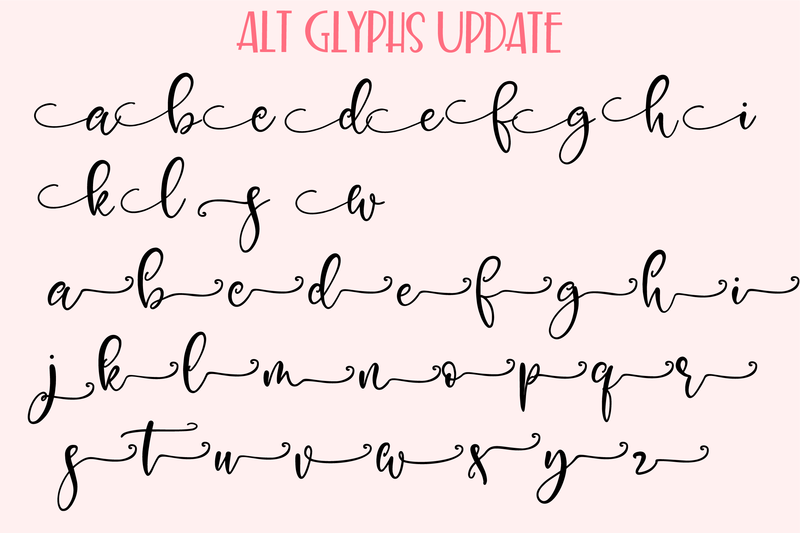 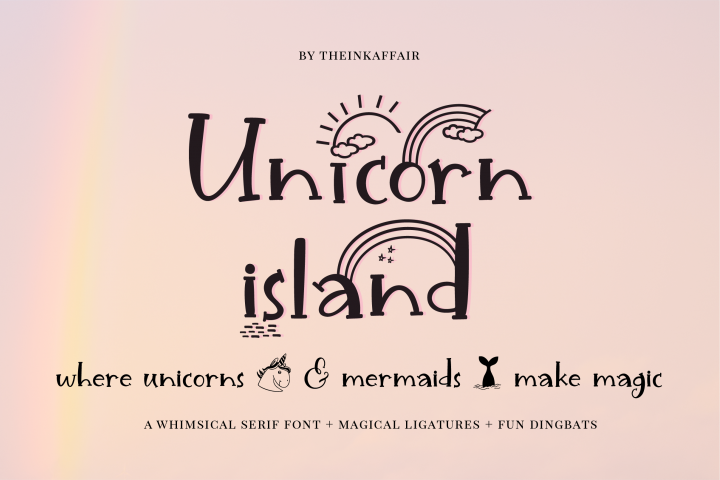 If you already have this font, you can re-download the file from your purchases. 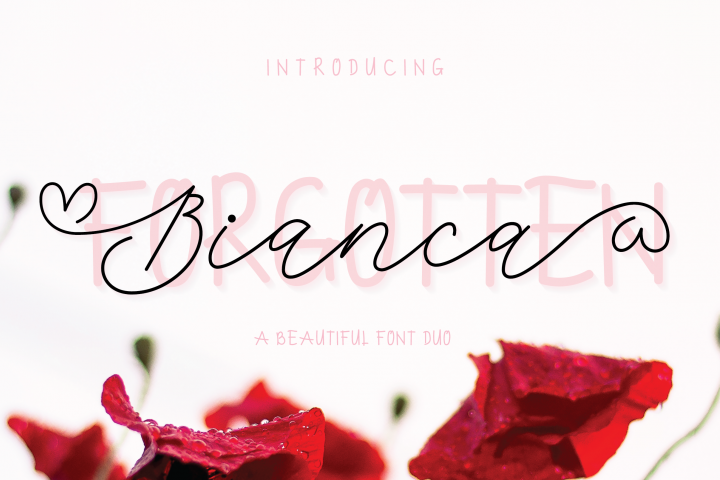 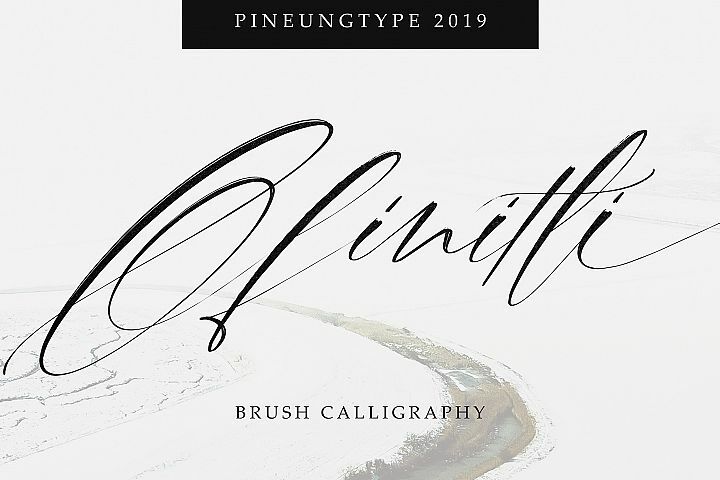 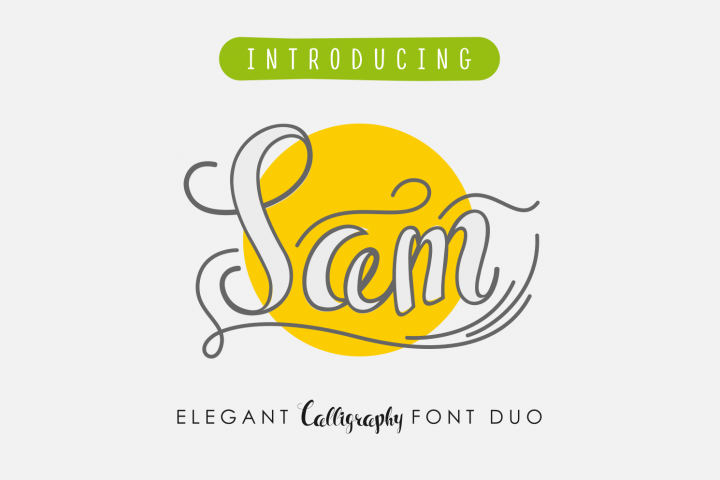 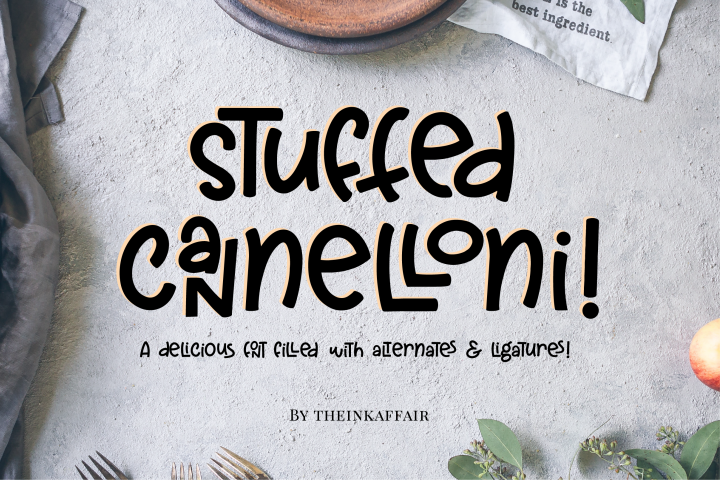 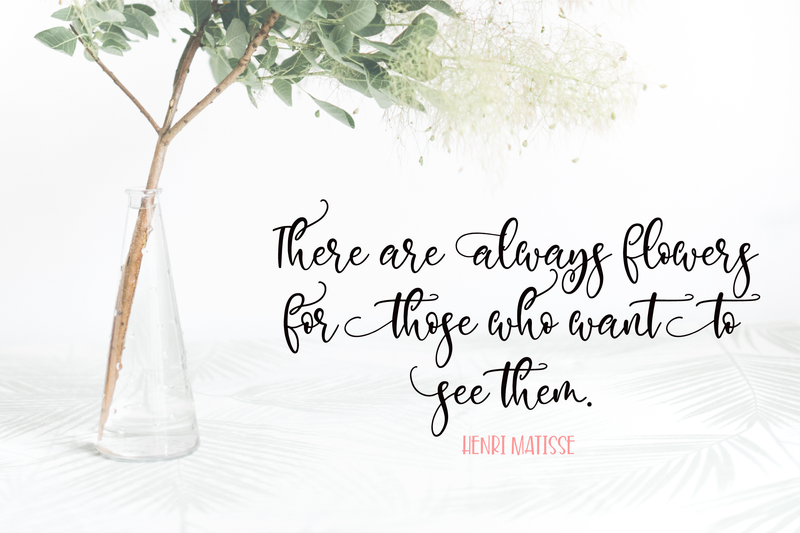 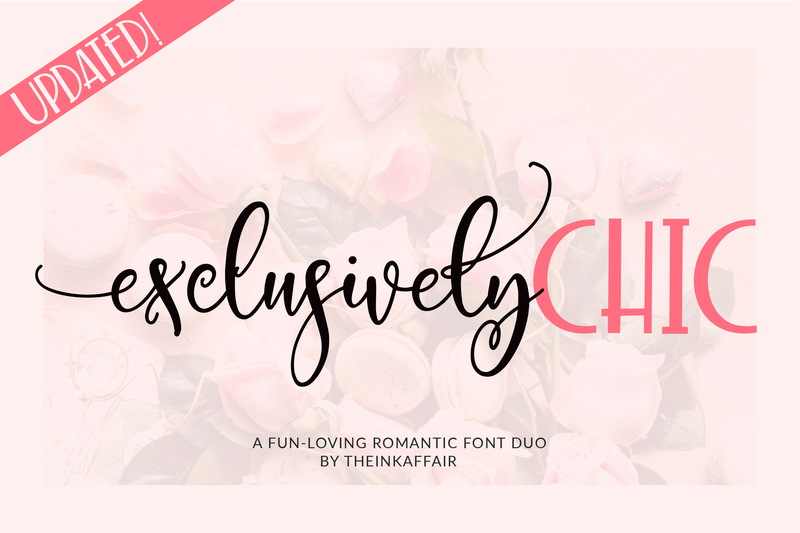 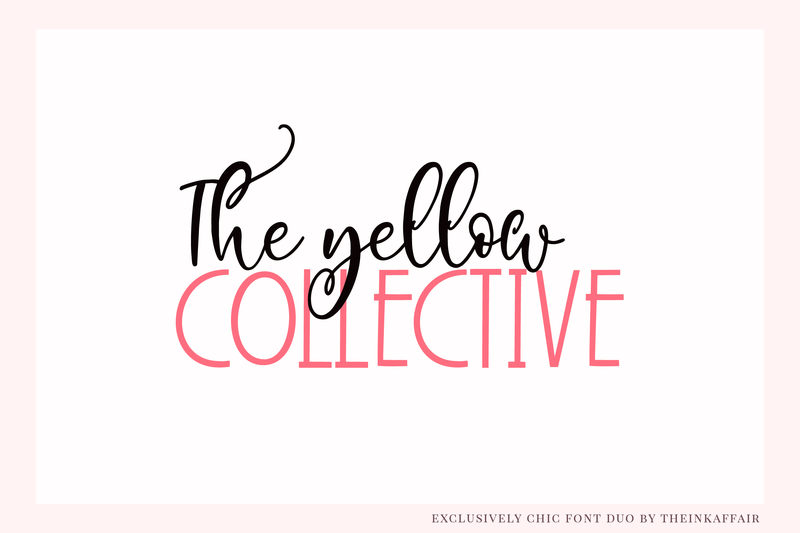 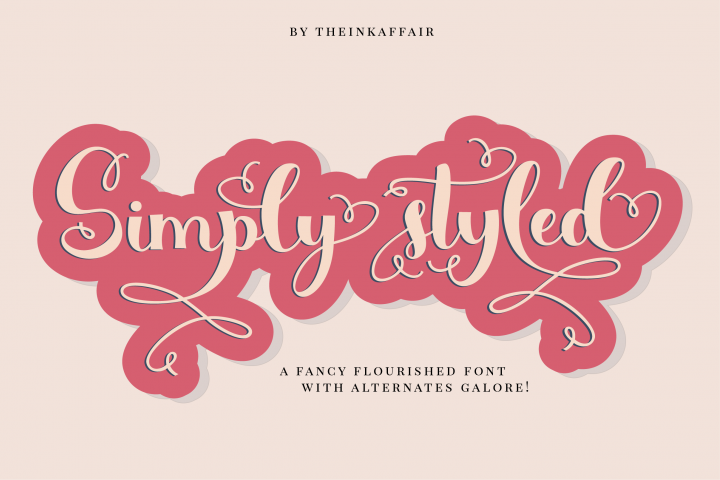 Exclusively Chic is a fancy font duo that comes with a wonderfully romantic script font paired with a playful sans serif. 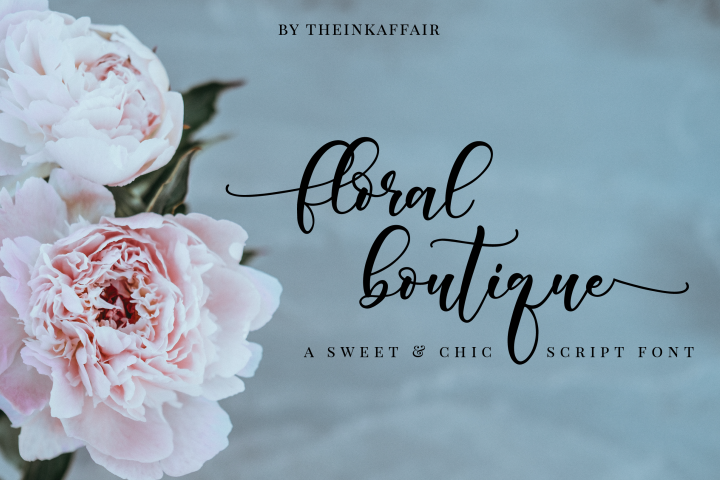 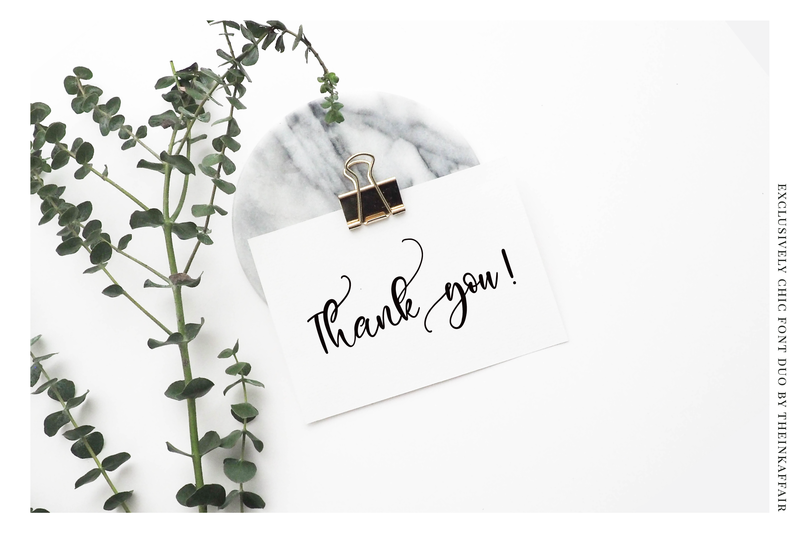 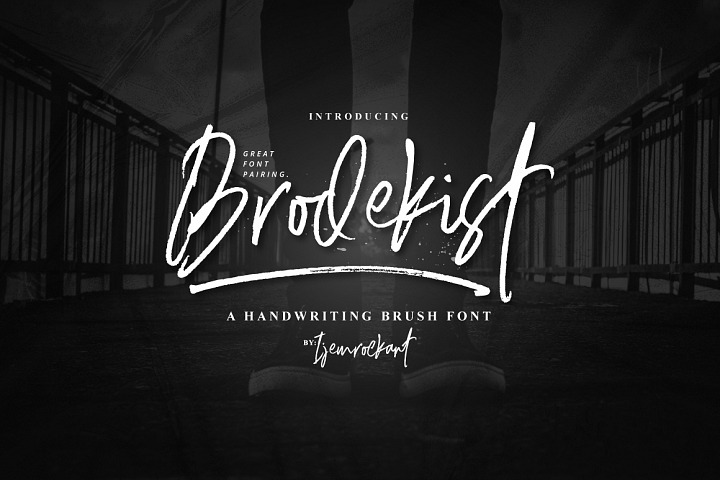 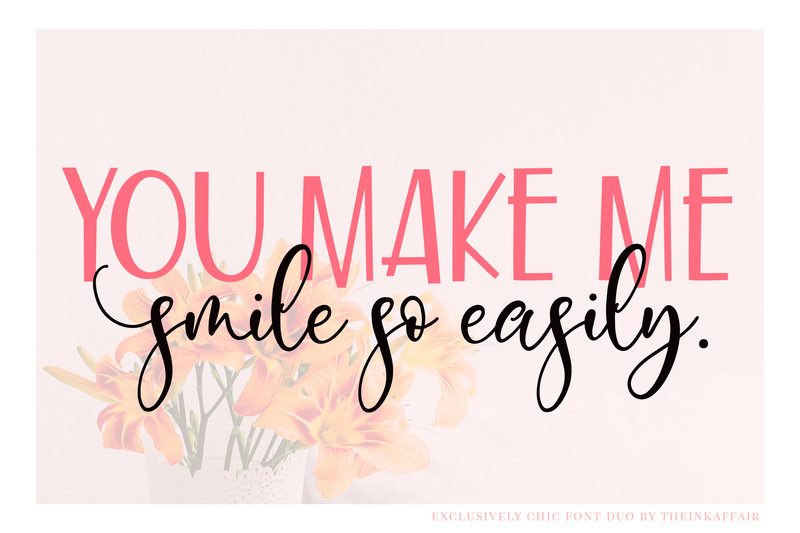 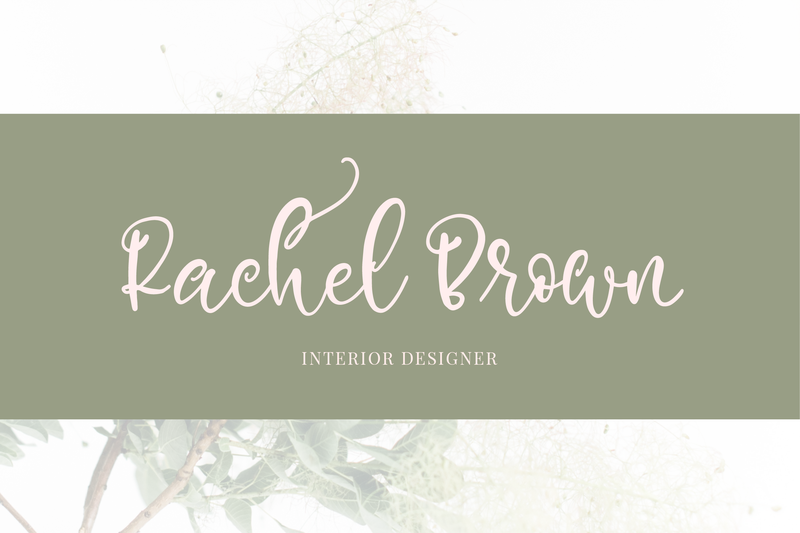 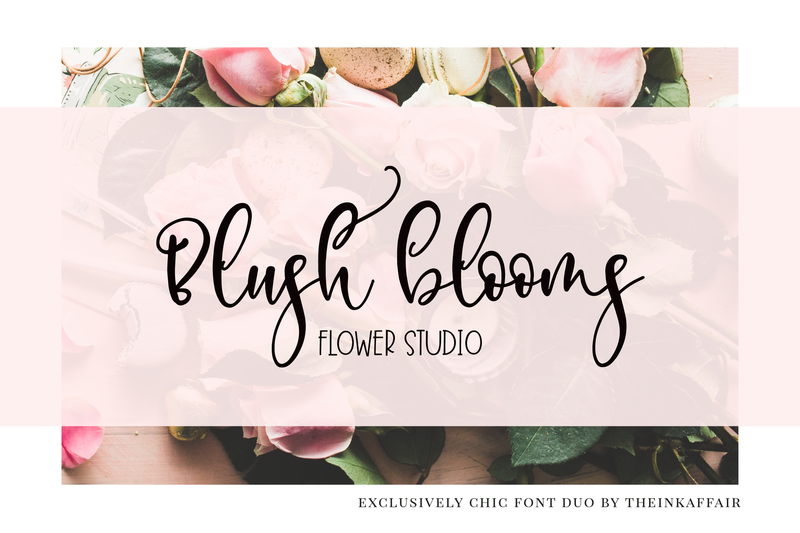 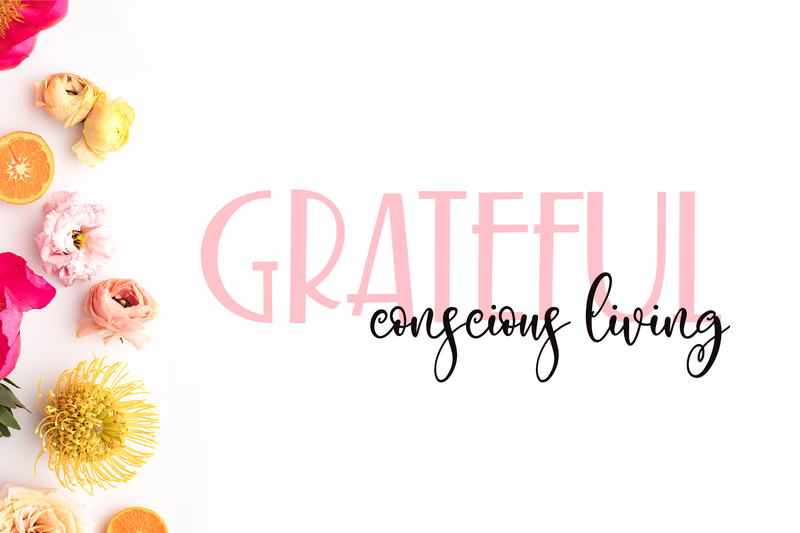 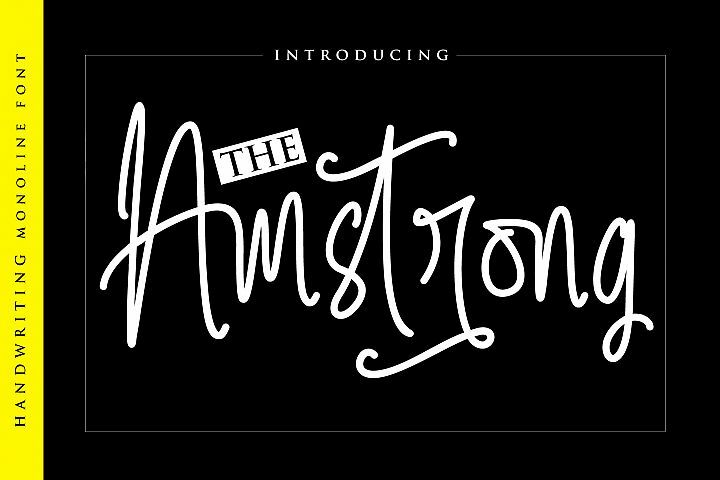 A bundle of prettiness and all things nice, Exclusively Chic script font is perfect for logos, magazines, social media posts, invites, blogs, etc. 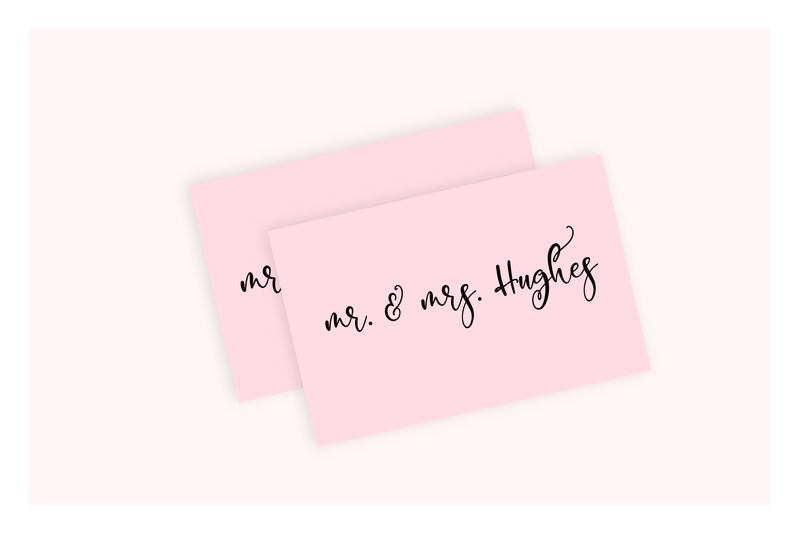 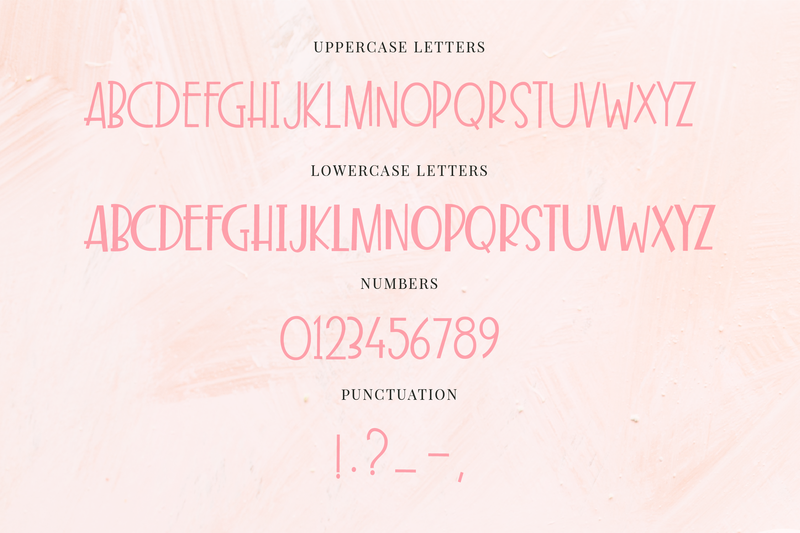 It also comes with a whole set of alternates to make your designs prettier and add that oomph. 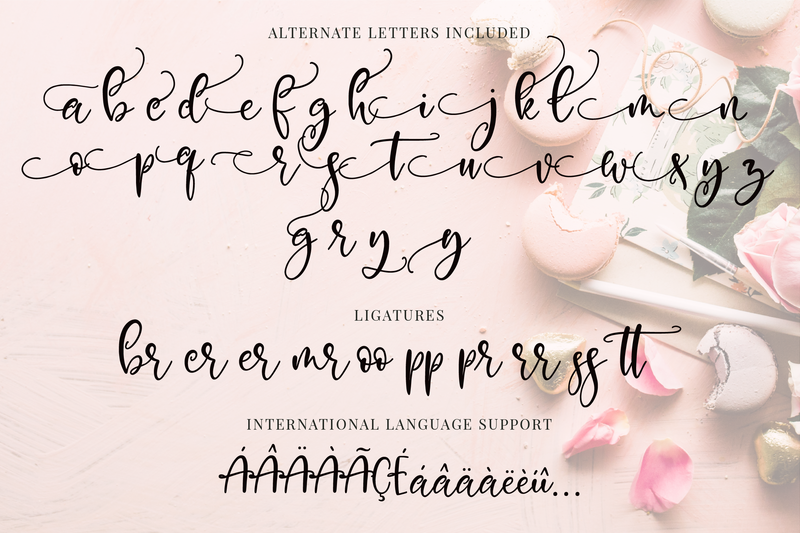 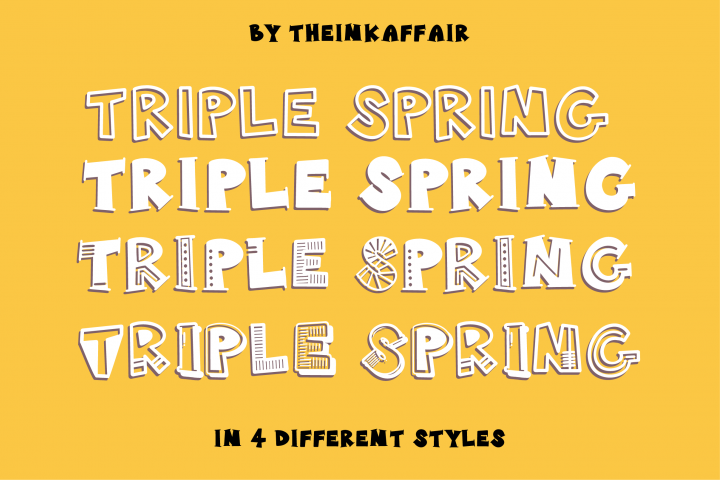 In order to use the beautiful the alternates, you need a program that supports OpenType features such as Adobe Illustrator CS, Adobe Photoshop CC, Adobe Indesign and Corel Draw.In case of any queries, please contact here. 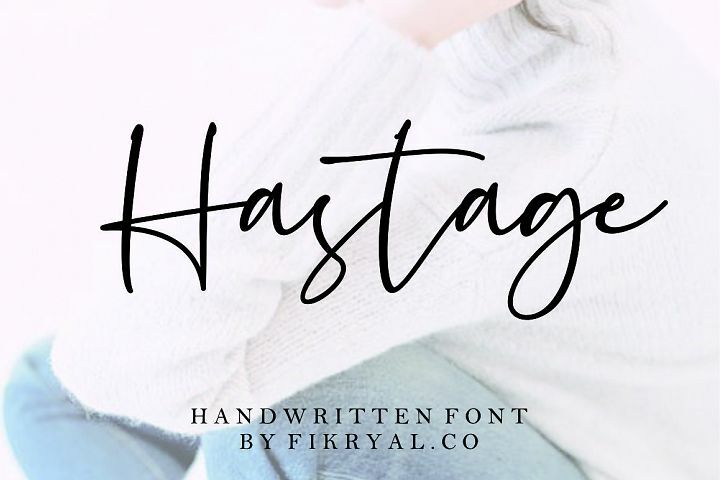 Also, let me know in case some characters that you need are not there and I’ll do my best to add them.